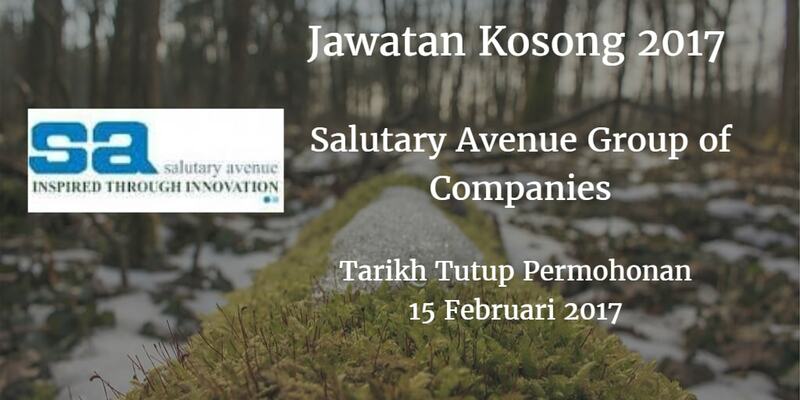 Salutary Avenue Group of Companies mencari calon-calon yang sesuai untuk mengisi kekosongan jawatan Salutary Avenue Group of Companies terkini 2017. 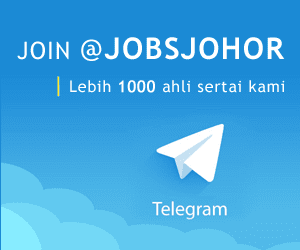 Warganegara Malaysia yang berminat bekerja di Salutary Avenue Group of Companies dan berkelayakan dipelawa untuk memohon sekarang juga. 1. Possess Diploma or Bachelor Degree in Sales/Marteting/Busines/Logistic/Engineering or any related field. Preferably applicants from Mechanical engineering background from any recognized University. 2. At least 3 to 4 years working experience as Sales Executive in manufacturing industries is required for this position. 3. Good in computer application: MS Office. 4. Proven end sales skills, prospecting, target management and market awareness. S. Capable of identifying target market with commercial negotiation skills. 6. Organised. driven, proactive and self motivated.